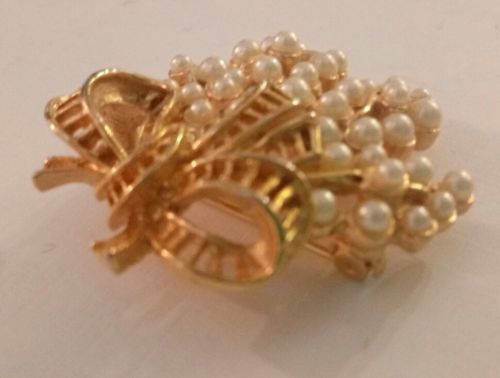 VTG Grape Brooch. Perfect for Wine Tastings! 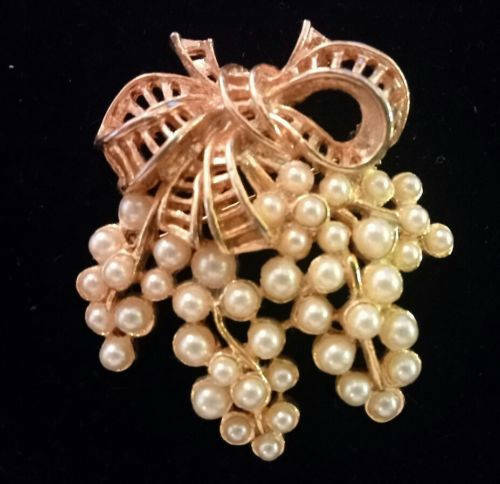 The prettiest vintage grape cluster costume jewelry pin! Gold tone metal ribbon and stems. Lovely hanging clusters of faux pearl grapes. 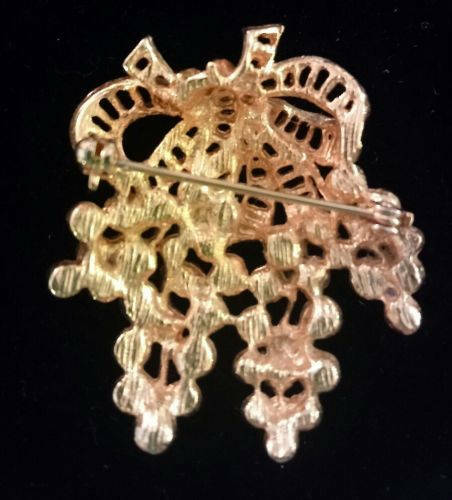 Circle closure pin attachment. Perfect for a wine tasting! Unsigned. Dimensions; 1.5 inches x 1.5 inches.